CRUSH The CIA Exam - Pass On Your First Try! Once you’ve made sure you can sit for the test, it’s time for you to register for the CIA exam. Gleim CIA Review is one of the most popular CIA review courses on the market. 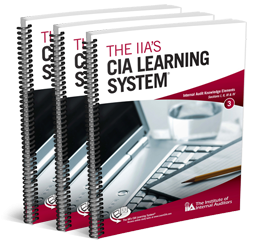 Students have praised this extensive self-study course, which comes with an assigned personal counselor to help you through the entire CIA exam process. Don’t pay full price for any of the top courses. We have compiled the top CIA exam course promo codes. Copyright © 2019 CrushTheCIAExam.com. All rights reserved.